Video-recording glasses aren't new. But video-recording glasses that you wouldn't be embarrassed to wear? Now that is novel. 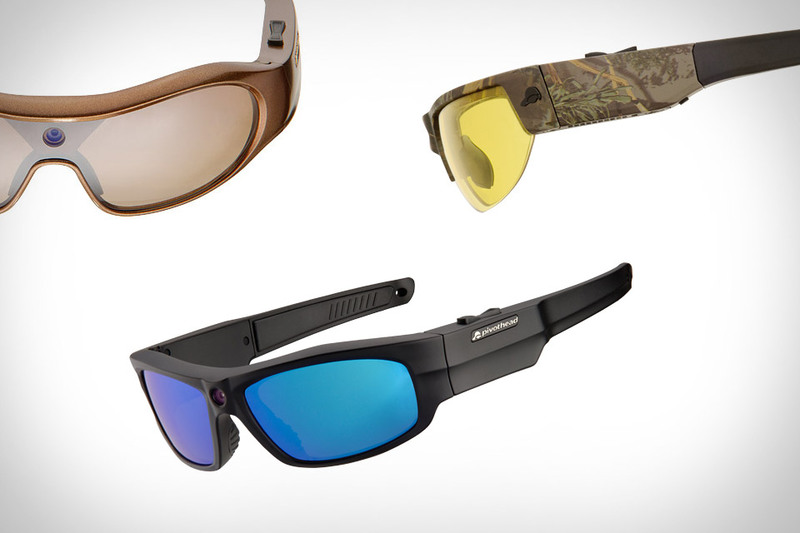 Pivothead Video-Recording Sunglasses ($300) employ an 8 megapixel Sony CMOS sensor and 8GB of built-in storage to let you capture video up to 1080/30p or 720/60p, still photos in bursts of up to 16 shots in a row, and works with an optional Wi-Fi dongle to communicate directly with your iPhone or iPad. With four different styles and multiple colors to choose from, you're sure to find a pair that suits your style.